Dawn Wallace received an A.A.S in jewelry design at the Fashion Institute of Technology in New York City in 2003. She exhibits her work in Alaska, New Mexcio, Arizona, Vermont, New York, Seattle and Australia. 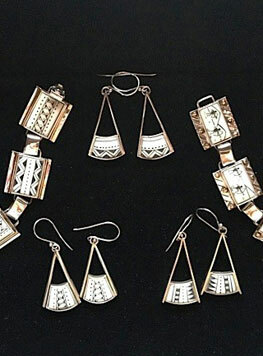 Desert Son of Santa Fe carries Dawn Wallace jewelry. Contact our shop for inquiries on our current inventory.